Manufacturer of a wide range of products which include plastic courier bag, pod courier bags, plain tamper proof courier bags, tamper proof courier bags, 60 micron plain courier bag and ldpe courier bag. Plastic Courier Bag are useful for E-Commerce companies for safe and secure movement of their goods ordered by customers. Three layered packaging bag will keep product hidden from view. The tamper-proof feature of these bags makes them very trustworthy for online sellers to deliver exact product what they have sent. These kinds of bags with POD are made from high-quality LDPE plastic. POD Courier Bags are also commonly called courier bags. 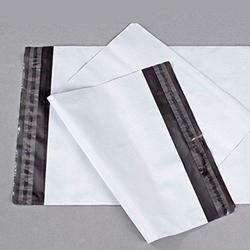 We are one of the prestigious names in manufacturing of Plain Tamper Proof Courier Bags. Printing of your desired content on security bag is add on feature for creating your own brand. Attractive printing of your logo or brand name can increase your orders and brand value too. These kinds of bags with POD are made from high-quality LDPE plastic. Tamper Proof Courier Bags are also commonly called courier bags. 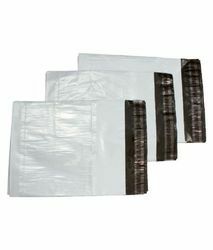 These kinds of bags with POD are made from high-quality LDPE plastic. PLAIN COURIER BAG are also commonly called courier bags. 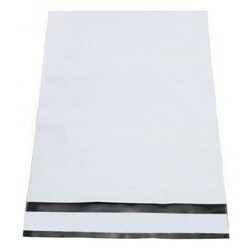 Plain Courier Bag are useful for E-Commerce companies for safe and secure movement of their goods ordered by customers. Three layered packaging bag will keep product hidden from view. The tamper-proof feature of these bags makes them very trustworthy for online sellers to deliver exact product what they have sent. 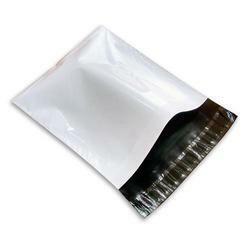 These kinds of bags with POD are made from high-quality LDPE plastic. 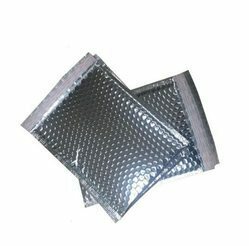 Self Seal Courier Bags contains transparent plastic jacket widely known as POD Jacket on the back side of the bag for the insertion of Shipping Address, Waybill, Invoices, Note conveying thanks etc. 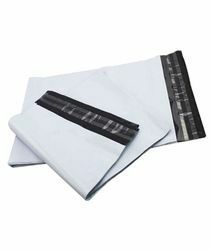 Tamper-proof bags are also commonly called courier bags. 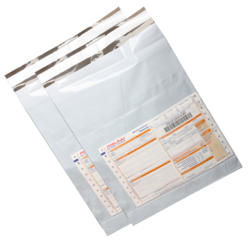 Tamper Evident Courier Bags are useful for E-Commerce companies for safe and secure movement of their goods ordered by customers. Three layered packaging bag will keep product hidden from view. The tamper-proof feature of these bags makes them very trustworthy for online sellers to deliver exact product what they have sent. Our reputation in the market is largely attributable to our precision-designed Air Bubble Courier Bag. Price range: From 3-17 Rs per Piece. 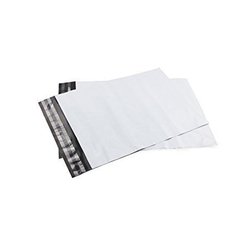 Bubble sheet is held between two layers of tamper proof bags for adding more security in packaging. These bags are highly useful for mailing books, bulky items and even some sensitive objects. The cushioning provides a certain amount of protection from outside forces particularly from rupturing and scratches. Bubble envelopes are a great alternative to padded envelopes, as they are lightweight and also don't leave messy padding residue when they are opened so it sends a very professional image. We now provide a perfect solution for storing and transiting your semi-fragile valuables. Bubble envelopes are now available with bubble lining on the inner surface, protecting your valuables from outside human and climatic mishandling. 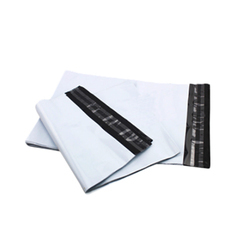 Bubble lined envelopes comes with a jacket to enclose Air way bills or notes present on either side of the envelope and a permanent peal and seal closure flap. 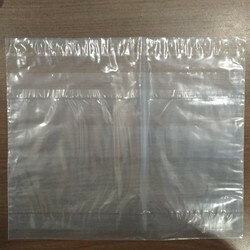 These uniquely designed bags are highly secured and are manufactured to shun any sort of unauthorized access or detection of the product packed inside. These pouches ensure the secrecy of the product by minimizing duplication. Once the bag has been opened for any reason, it cannot be put back again to normalcy ensuring the customer that the product is factory sealed. The Courier bags can be customized as per the client's specification, it can be printed (maximum 6 colors) or are available Plain (without any Print).